Posted September 10, 2009 in Chris Haley, The Demon. 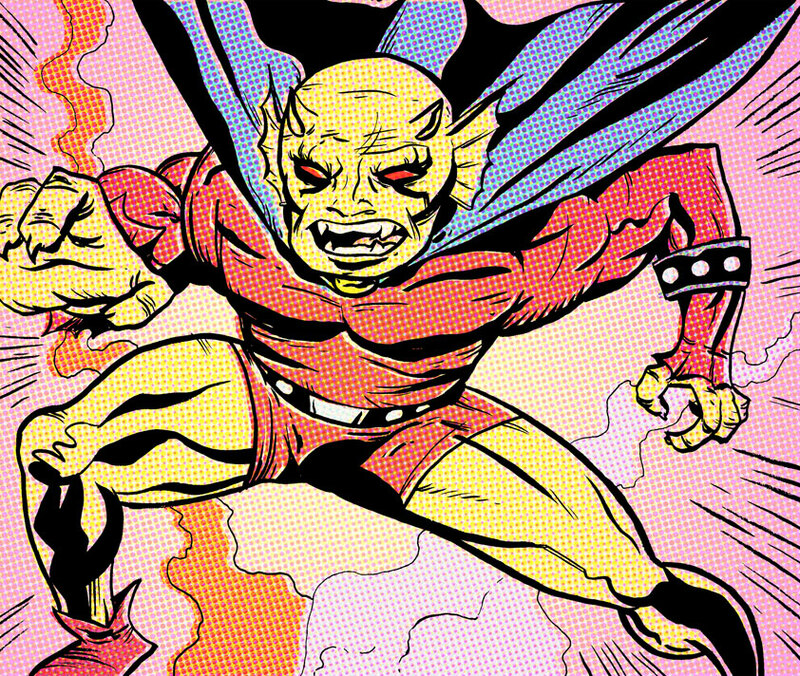 Pop Art Etrigan from Memphis based graphic designer Chris Haley. Chris also provides art to Curt Franklin’s words at their webcomic (“It’s a comic about comics”), Let’s Be Friends Again.